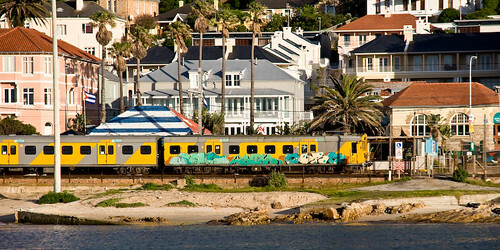 This entry was posted in Photos and tagged graffiti, kalkbay, metrorail, train. Bookmark the permalink. It’s been a while since I travelled with the train but if memory serves me there’s some awesome graffit on the walls of factory between bulidings Salt River and Woodstock stations.